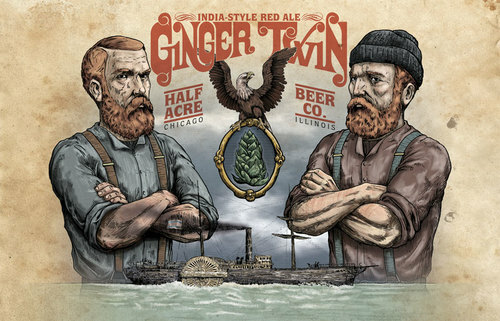 Half Acre Beer Company’s next release is the Ginger Twin India Red Ale, a 7% ABV beer celebrating redheads and twins. In fact, if you show up to the North Center brewery with “god given red hair or accompanied by an identical twin,” Half Acre will take 10% off your purchase. The Ginger Twin India Red Ale drops Friday, March 29. The prices are $8.99 (22 oz. bottle), $15 (64 oz. growler) and $8 (32 oz. growler). Or enjoy a pint of it for $5 inside Half Acre’s tap room.